We gave this basic geography test to 100 people and only 3 passed. Can you? Which of the following US states is landlocked (doesn't touch any ocean, gulf, or bay)? Which country is divided between Turks and Greeks? What is the driest of Earth's continents? Which river runs through Russia? 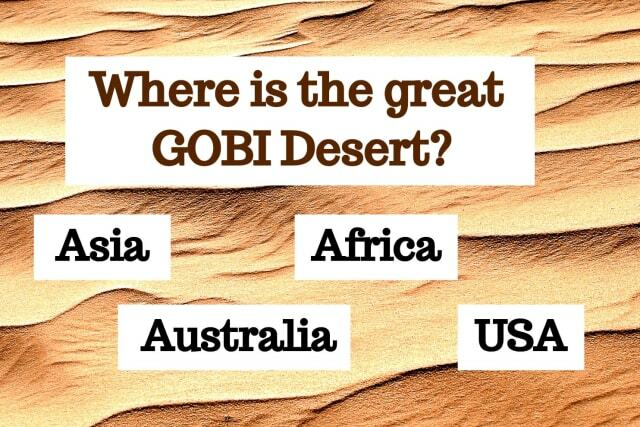 Where is the great Gobi Desert? what is Africa's largest country by population? Which of the following countries does NOT have coastlines on the Mediterranean Sea? How many oceans actually are there? What is the largest island in the Mediterranean? Which of the following countries borders two oceans? A deep valley with steep sides is known as a _____. Last question: which river runs through Sudan? You passed with flying colors!! You must be incredibly intelligent. You spend your free time consuming information, you're highly observant, and you can't wait to travel the world. Share your remarkable score with everyone you know. Give it another shot, though!! Ready --> Set --> Go! !